If you’re not yet ready to move on to advanced SEO for Ecommerce, I’ve written an introductory post about how to get started with the seo basics. Maximizing the search engine visibility of your eCommerce website, for qualified queries, is perhaps the most important role SEO has to play in selling products online. Welcome to the long overdue second segment of my podcast series Talking with Industry Experts. In this podcast I speak with Captain Todd Malicoat, Author of the Stuntdubl SEO Blog, Faculty SEO Chair at MarketMotive, and Fishing Charter Captain at Miami Fishing Charters. I really enjoy doing keyword research for SEO. It is the one search-related process that I bring up in conversation with almost every website owner I meet, and I’m constantly impressed with the different tactics and techniques that business owners are using to expand their online visibility. I like keyword-level strategy so much that I am going to offer you my very own personalized keyword research services. When it comes to business – SEO is a unique monster, because unlike most vertical markets, you don’t need products, vendor relationships, distribution channels, or even start up capital. 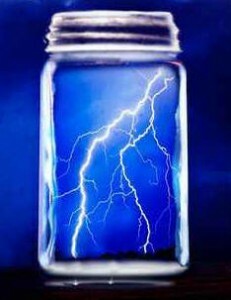 But without the right strategy, leveraging search for business can feel a lot like trying to capture lightning in a bottle. In case you haven’t heard yet, Paddy Moogan published a book on link building. It’s really good. One of the most comprehensive link building strategy guides I’ve ever read. Paddy was nice enough to send me an advanced copy to check out, and I was so impressed with how thorough, well laid out, and well explained the content in the book was, I decided to write this post.